Rivers: A Novel is a gripping story that gives you a peak into what could be. Through Cohen you see a man who is trying to remember his life as it was before hurricanes became the way of life in the south. With each storm, more and more of his life is taken from him and it is his reactions and determination to get back on track that keeps this story going. From the minute I picked up this book to the very end I was swept away. Whether he was just trying to get supplies (then being ambushed and almost killed); to trying to get his stuff back (and his dog being killed); to helping a group of women and children get out of a horrible situation; you connect with Cohen. The characters in this book are made of some tough stuff. Not only are they living with hurricanes that won’t stop; they are trying to survive and make their lives better. Unfortunately there are some people really nasty people (Aggie for instance) who want to control this new way of life. When Cohen is brought into Aggie’s fold you find out just how strong and courageous he is. He knows right from wrong and doesn’t let Aggie tempt him in any way. Mariposa seems like a little girl at times, but when push comes to shove she is strong enough to survive all that is thrown at her. Unfortunately she has had to grow up too fast, but this has made her who she is. She is able to see that even under Aggie’s control she can decide what she should and shouldn’t do. To fight when she has to and when to stay quiet. The writing is really descriptive. I could see how the way the Earth has been changed by the weather. No longer is there sunshine and happiness in the south; but only rain, wind and the need to survive. At times this story is very dark and a bit depressing, but by the end you are hopeful that Cohen, Mariposa, and the other survivors will have a happy and sunny ending. I really enjoyed this book and couldn’t put it down. Although at times I felt I needed to read something happier for a bit. But in the end I just couldn’t put this book down and wanted to find out what was going to happen to these amazing characters. I would totally recommend this book to anyone. Just remember that the story is not a happy one and then sit back and enjoy the ride. 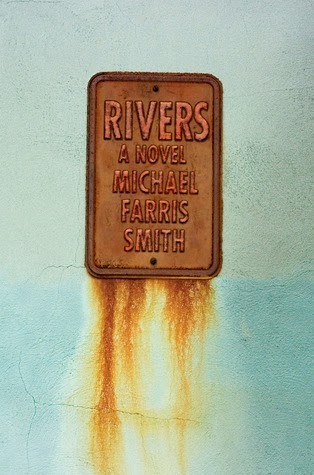 Michael Farris Smith is the author of Rivers: A Novel (2013) and The Hands of Strangers: A Novella (2011). Rivers has been named to the Best Books of 2013 by Bookriot, Hudson Books, The Capital Times, Daily Candy, and several others. The Hands of Strangers has been hailed as "Fantastic...making more of an impact than most novels three times its size" (Publisher's Weekly starred review). His short fiction has twice been nominated for a Pushcart Prize and his essays have appeared with The New York Times, Catfish Alley, Commercial Dispatch, University Press of Mississippi, and more. He lives in Columbus, Mississippi, the hometown of playwright Tennessee Williams and the university town for Eudora Welty. His 1878 Victorian home has been featured during the annual Tennessee Williams Festival. He graduated from Mississippi State University and later the Center for Writers at Southern Miss and has spent time living abroad in France and Switzerland.